Am I eligible to open an account online? Can I open a new joint account online? Is your online application form secure? Do I need to send in any evidence of my identification to open my account? How long after submitting my application do I have to send in any additional evidence of identification? What is a nominated account? I opened a joint account, but why can I not withdraw online? Why must I have a nominated account? How can I fund my new account? How do I fund my account by bank transfer? Can I fund my new ISA initially by transferring funds from another provider? How long after applying do I have to fund my account with my initial deposit? What if I change my mind? Why is the Online Service unavailable? Am I eligible to open an account online? To open an account online, you must be aged 18 years or over, resident in the UK and liable only to pay tax in the UK. Can I open a new joint account online? Yes, you can open a joint account with up to two account holders online. You will need to provide full details of both account holders. By completing the online application you will be declaring that you have the authority to do so on behalf of both account holders and that you both understand that we will act on the instructions of either of you but you are each responsible for all transactions carried out. Is your online application form secure? Yes, the site is secure and you can visually tell this because your browser will display a padlock symbol. The web address will also start https. All information you supply is encrypted and cannot be intercepted to comply with security protocols. Do I need to send in any evidence of my identification to open my account? Once you have submitted your online application, before allowing you to fund the account, we will check your identity and address. These checks are carried out electronically to make it as easy as possible for you. Sometimes we are unable to carry out the checks electronically and we may ask you to send in some additional evidence of identification by post. We will let you know if we need any additional information onscreen and by email. How long after submitting my application do I have to send in any additional evidence of identification? Please ensure that any additional evidence is sent within seven days of your application being submitted to avoid your application being cancelled. The account that you provide as your nominated account will be the account to which any withdrawal that you make online from any of your Kent Reliance accounts will be paid (including any withdrawal you make online from any existing joint account). 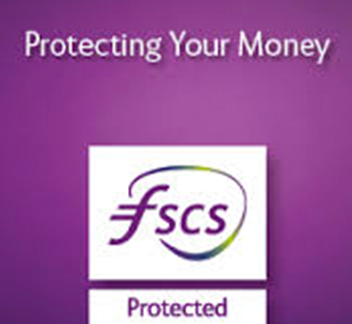 You must provide a valid UK bank/building society current account as your nominated account. We will electronically verify that this account is held in your name (or in the name of the first applicant in the case of a new joint account application) and you may be requested to provide additional evidence (eg an account statement) if we are unable to verify this information electronically. Nominated bank account details are linked to the account holder and not the account itself. All withdrawal requests made online will be deposited to the nominated bank account that you provide when opening your latest account online. It is your responsibility to ensure that this nominated bank account remains to accept funds. On a joint account, each account holder has the authority to change their own nominated bank account without the prior consent or knowledge of the other account holder. This change can either be requested or is automatically made when either of the account holders opens a new account and provides different nominated bank account details. Any change to the nominated bank account made by either account holder will only reflect on their own online record and will not change the other account holder's nominated bank account. I opened a joint account, but why can I not withdraw online? When opening a joint account, we verify the nominated account of the first applicant only to ensure that the account is held in their own name. If you are the second applicant and have not already registered for online access, as we have not verified that the nominated account is held in your name as well, you will need to send us a secure message confirming your nominated account details. We will electronically verify that this account is held in your name and set this up for you. You may be requested to provide additional evidence (eg an account statement) if we are unable to verify this information electronically. Why must I have a nominated account? You will only be able to make online withdrawals to your own nominated account. How can I fund my new account? You can fund your new online account straightaway by debit card if we are able to positively verify your identity online. Alternatively, if you choose to deposit later, you may do so by bank transfer, or by logging on and adding funds by debit card, or if you hold other Kent Reliance accounts that permit withdrawals, you can transfer funds from that account into your new account. You will not be able to fund an account opened online by CHAPS, cheque or cash. If you wish to open a new account by cheque please download and send us a paper application form with your cheque, you will then be able to register online to manage the new account if you do not already have online access. If you wish to open your account by cash, please visit one of our branches. How do I fund my account by bank transfer? Account number: this will be the numerical element of your account reference with a zero added at the front (for example 01234567). To ensure that your payment reaches your account, please make sure you use your entire account number (with prefix and suffix) as your reference (for example ABC1234567KRB). If you or your bank or building society does not include your reference number when submitting the payment, it may not be possible to match the funds to your account. In this case we may need to then return the funds without interest. Can I fund my new ISA initially by transferring funds from another provider? Yes, you can fund your new online ISA by transferring funds from another provider, subject to eligibility. If your provider is not listed, you will need to complete a paper transfer form. How long after applying do I have to fund my account with my initial deposit? You have seven days from your account application being approved to open your new account by funding with your initial deposit. If you are unable to fund your account within seven days, we will not be able to complete your application and any funds that you send after this time will be returned to you. You will have 14 days from the date the account is opened to reconsider your choice. If you change your mind within this cooling-off period, your initial deposit will be returned. Depending on the type of product you opened, your initial deposit may or may not be returned with any interest earned. If you have paid by debit card into the account, we can't return the funds until the debit card payment(s) has/have cleared. Please allow three clear working days. Please send us a secure message confirming your wish to cancel. Why is the Online Service unavailable? Sometimes we need to take our Online Service off line to carry out essential maintenance. You can check the times the Service will be off line here. In addition, between the hours of 11pm and 4am the Online Service goes into Read-only mode. This is a restricted version of the Service whereby you will not be able to deposit or withdraw funds, but will still be able to log on and view your account.